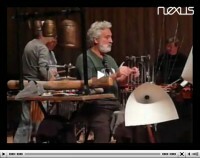 Click HERE to view a Press Release about the NEXUS Concert in Woodstock, NY on May 29, 2010. 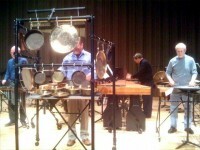 NEXUS will be performing at the Kleinert/James Arts Center on Saturday evening. (May 29th, 7:30pm, Address: 34 Tinker Street, Woodstock, NY. ) This will be a great opportunity to take in some of their new quartet arrangements, especially NEXUS’ justly famous ragtime selections. Click HERE to view a Press Release about the NEXUS Canadian Premiere of “Mallet Quartet” by Steve Reich. 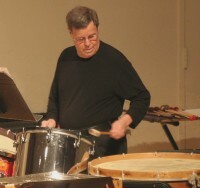 Press Release: The Canadian percussion group NEXUS announces the departure of founding member Robin Engelman. Click here for an article in The Windsor Star about upcoming events in Windsor, Ontario. 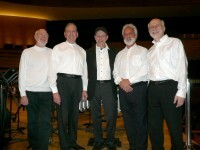 Here is a photo taken near the end of sound check prior to the concert at the Glenn Gould Studio on April 5, 2009. 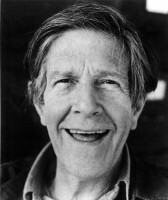 NEXUS will be starting work on a new recording featuring the music of John Cage in late January of 2009. Keep an eye on our website for more information about this exciting new recording!